This collection of images shows multiwavelength perspectives on the pulsar PSR B1509-58. 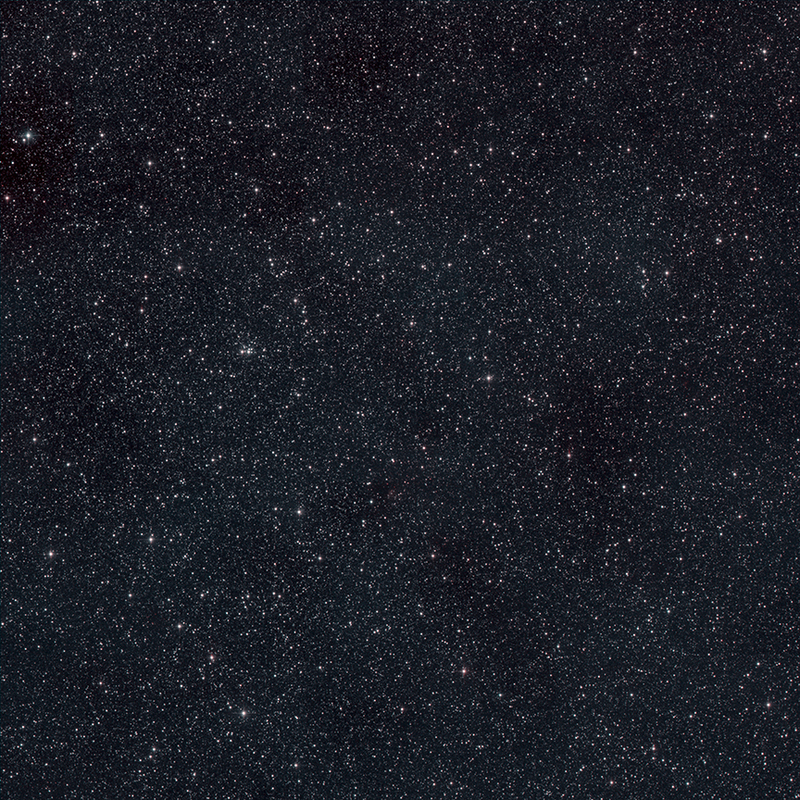 The 2 Micron All-Sky Survey (2MASS) infrared images shows a large area of the sky around the pulsar. 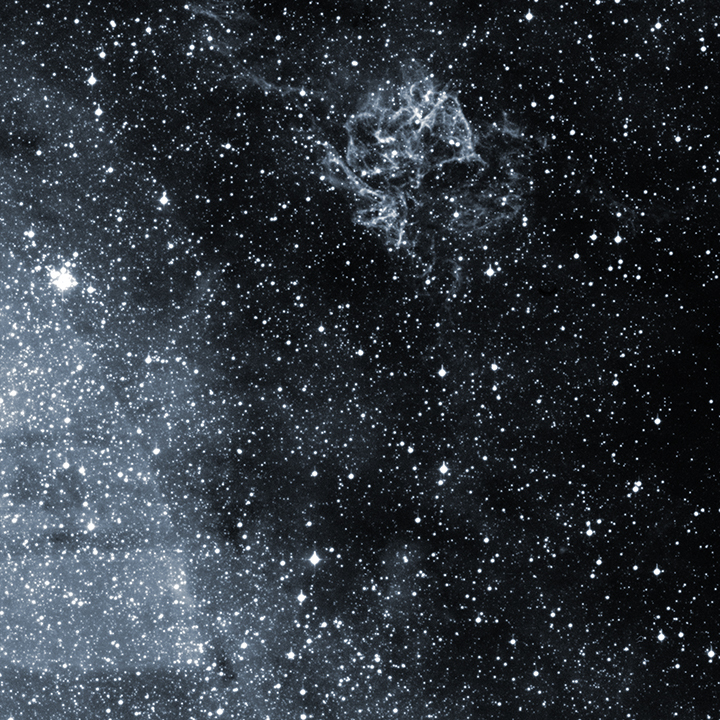 The SuperCOSMOS optical image is closer in and shows a surrounding cloud of gas. 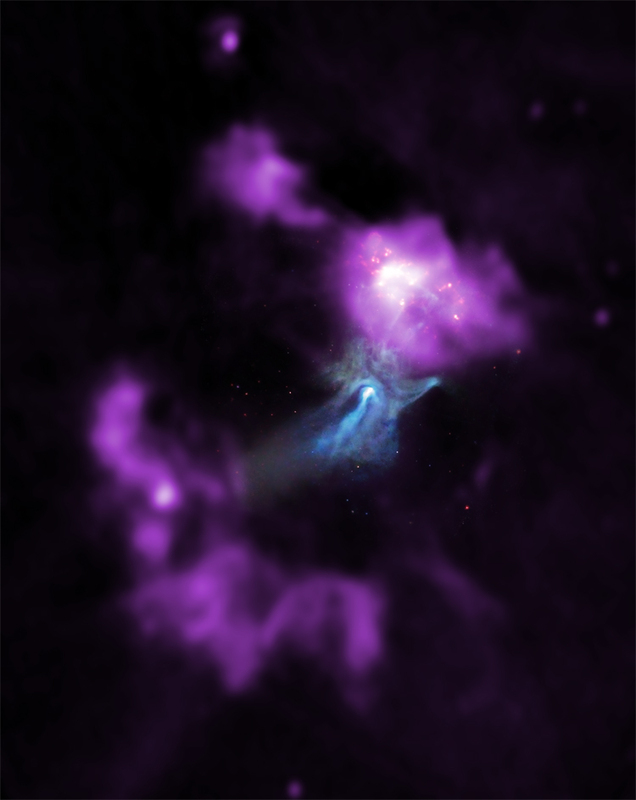 In the composite image with optical and Chandra X-ray data, the data show the effects of an energetic wind powered by the pulsar. The X-ray emission results from very energetic electrons spiraling in a magnetic field. 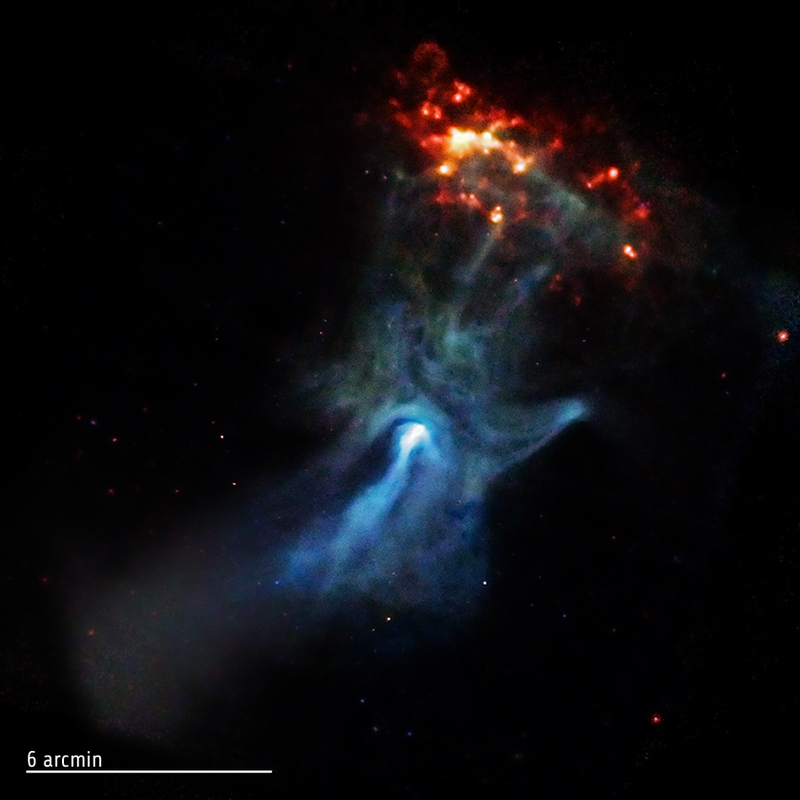 Finger-like structures extend to the upper right and energize knots of material in the gas cloud. The Molonglo Observatory Synthesis Telescope (MOST) radio data shows the larger structure of the supernova remnant SNR G320.4-1.2 that encircles the pulsar PSR B1509. 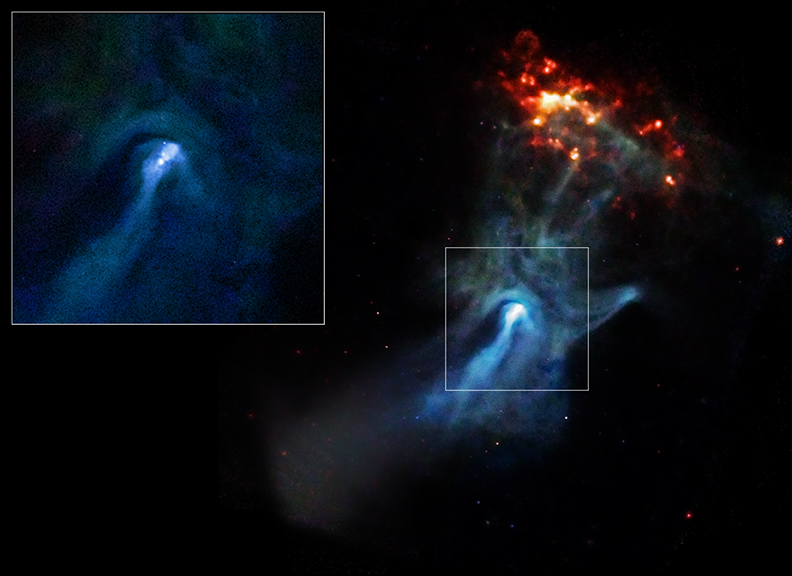 This graphic shows a close-up of the pulsar PSR B1509-58 in a pull-out image on the left. The central region is shown at a different intensity level to enhance the inner parts of the nebula around the pulsar. 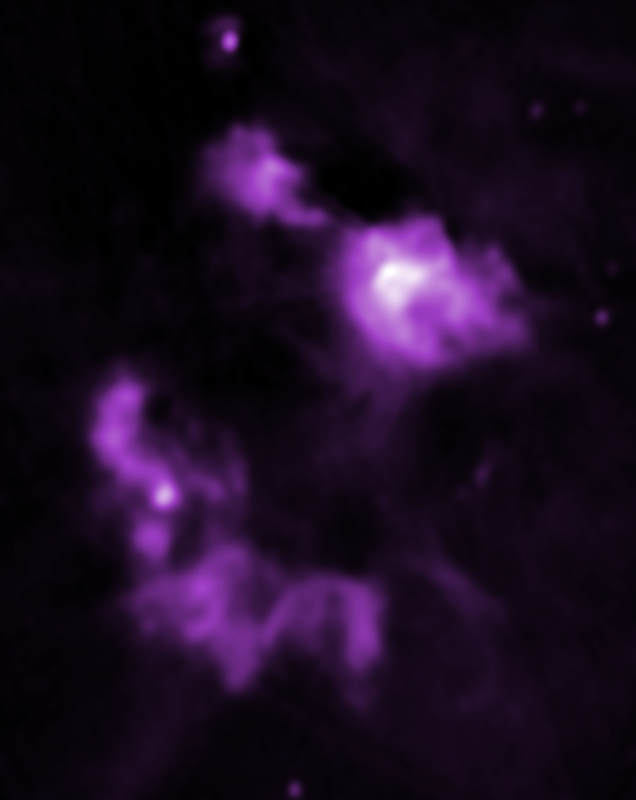 A jet-like feature is shown that runs to the lower left of the image and a dark band runs perpendicular to this, just above the central source. 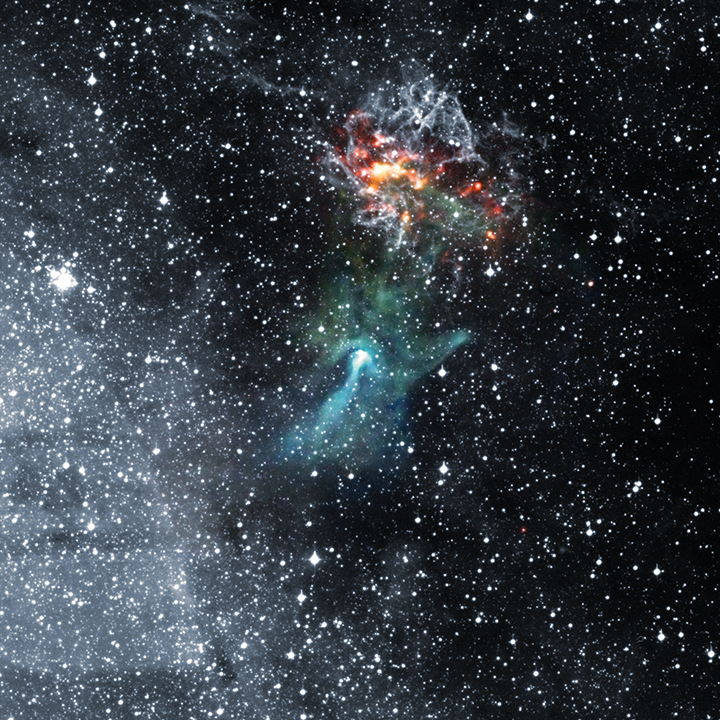 Both of these features are similar to structures in the Crab Nebula.